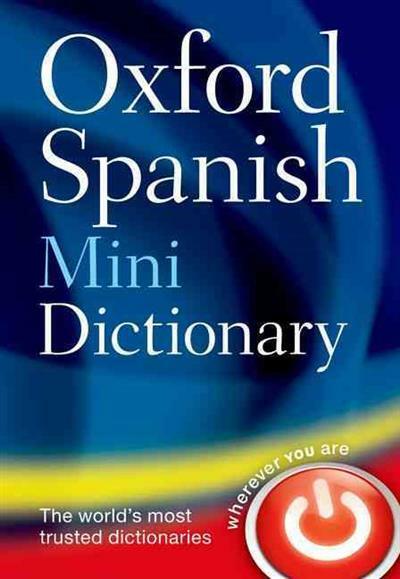 This is the reissued Oxford Spanish Mini Dictionary - now in an attractive new format. This small dictionary offers the most accurate and up-to-date coverage of essential, everyday vocabulary with over 40,000 words and phrases and 60,000 translations. Easy-to-use colour design and a centre section of useful words and expressions listed by topic make this dictionary ideal for travel and quick reference. Includes 3 months' access* to Oxford Language Dictionaries Online at oxfordlanguagedictionaries.com *Terms and conditions apply; please see www.oxforddictionaries.com/access for information.